If you are in the process of setting up your new home or office - what could be more interesting than to create a comfortable and sophisticated atmosphere! This can easily be achieved with the paintings of your choice. Select the motifs and sizes including – if you wish – the frames to match. If you intend to decorate your practice or office premises – then a rental solution might just be the answer for you and in many cases the cost can be deducted from tax. If you have questions on the selection or rental conditions for your paintings – just contact us and we will give you a tailor made offer – to suite your needs. 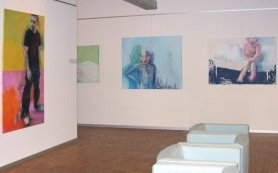 Prices depend on size and value of the paintings in question and go from 15 –35 Euro per month. Minimum rental period is 6 months. The paintings are insured via your own household or office insurance. We form the hire contract individually and tailor-made by your wishes and images.